Enter the Star Wars Universe through the eyes of the Freemaker Family. The Freemakers are a family of salvagers that build new starships. They do this by using parts from deserted or damaged old ships. The youngest of the family, Rowan, discovers he has a connection to The Force. From this discovery, Rowan and his siblings go on adventures that entangle them with other familiar characters from the Star Wars Universe. 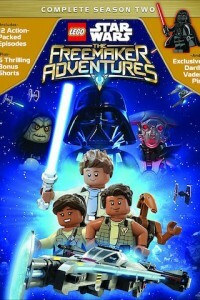 Set between the time periods of The Empire Strikes Back and Return of the Jedi, The Freemaker Adventures give viewers a chance to experience this magical world from a new and different perspective.